Mikaela Shiffrin’s potentially historic medal count at the Winter Olympics is suddenly in danger. Shiffrin failed to medal in the slalom on Friday and is skipping the super-G on Saturday to rest. 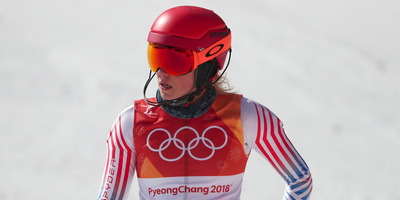 Shiffrin has been affected by the schedule, which has been congested after weather conditions postponed two slalom events. Shiffrin may also skip the downhill skiing event next week, meaning she could leave the Olympics with only two medals, a great accomplishment, but perhaps short of her own goals. Mikaela Shiffrin entered the Winter Olympics as one of the biggest stars and perhaps the most dominant Alpine skier in the world. Shiffrin already had the 2014 gold in slalom to her name to go with three straight World Championship golds and 40 World Cup victories. Pyeongchang was supposed to be her mainstream breakthrough, as she was set to compete in four or five events, potentially medaling in all of them. No Alpine skier has ever won more than three golds in one Olympics, and none have won more than four golds in their careers. However, momentum has swung the other way for Shiffrin about halfway through the games, and that historic medal count is looking more dicey than it did just one week ago. Weather has played a major part. The giant slalom was postponed twice because of high winds, pushing the event back from Saturday to Thursday. Shiffrin still won gold in the giant slalom on Thursday, but the cramped schedule seemed to take its toll on her. On Friday, Shiffrin failed to medal in the slalom, her best event. The day was turbulent for her – she threw up before her first run, saying it felt like she had been hit by a virus. Shiffrin has battled nervousness that has led to nausea in the past, and it seemed to hit her again before her first run that placed her in fourth place. Though she said she felt better on the second run, toward the end of that run, she suddenly fell off of her gold medal place, finishing .08 seconds off of first place. She was then passed for second and third by two of the final three skiers and was knocked off the podium altogether. Afterward, Shiffrin said her skiing was simply off. “In that first run today, I had no feel,” Shiffrin told reporters afterward. Indeed, her struggles seemed mental, and she noted that she got less sleep than usual on Thursday because of the giant slalom event and medal ceremony afterward. The schedule may continue to affect her. Shiffrin’s mother and coach, Eileen, told reporters that Mikaela will skip the super-G on Saturday, citing the need to rest instead of competing in three straight days. That moves Shiffrin’s maximum medal count to three, and she’s not a certainty to compete in the downhill event next Wednesday. Shiffrin left the door open to skipping it, depending on how her training goes next week. If Shiffrin misses the super-G and downhill, it would leave her with just the Alpine combined event on Friday, giving her a maximum of two medals if she has success in the latter. Two medals is nothing to sneeze at, but it also likely doesn’t live up to even Shiffrin’s own expectations entering these games. Shiffrin still has a shot at at least two more gold medals if she decides to compete in the downhill. She could still make history by coming away with three golds, but in the meantime, she’ll have to overcome circumstances she can and can’t control.